Target has opened a couple of stores in Winnipeg and one in Brandon which is good news to most people that lives around here. It sure saved me a few dollars from crossing the border this summer. So far from what I've seen, Target in the states has more selections than what we have here unless there's still expanding as it's still relatively new. But I'm quite satisfied. Anyway, I did a few of my weekly groceries and stopped by at the Beauty Aisle... I couldn't resist skipping that section! 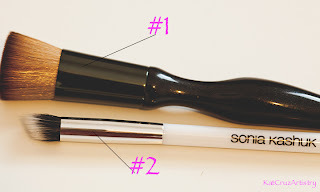 I picked up a couple of the Sonia Kashuk brushes which I'm excited to share with you guys. The one's that I purchased, I find more use from the bunch. 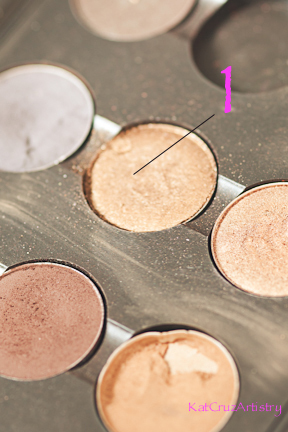 Also I decided to do a Bronzy, Summer Look using the brushes. 1. Synthetic Flat Top Blusher - the original intent of this brush is use as a blusher but I've used it with my liquid and mineral foundations and it applies perfectly. This cost me $15 cdn. 2. Duo Fibre Crease Brush 205 - this is a fantastic brush since it's a duo fibre, it does not pick up a lot of product so if you like a softer look or a light dusting of powder on your eye lids, this is good for that. The angled shape fits well into the crease and in the outer corners. The quality is great, I've used this with clients and it applies flawlessly. I've washed it a couple of times and I have not experience any shedding. This cost me $7.00 cdn. MAC Pro Sculpting Cream in Pure Sculpture. I applied the L'OREAL Magic BB Cream all over my face and applied the MAC Pure Sculpture on the high lights of my face (cheekbones, temples, and just a bit in the outer corner of the bridge of my nose). 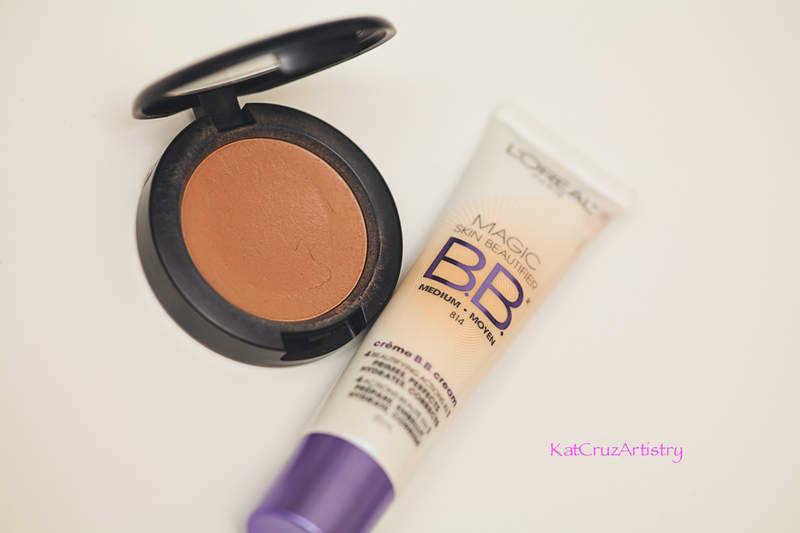 Both using the Synthetic Flat Top Blusher. 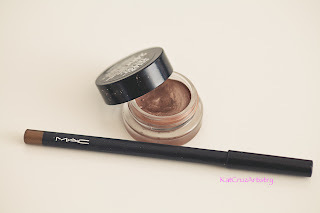 Using my ring finger, I applied the 25 Bad to the Bronze all over my lid using it as a base and I applied the MAC PowerSurge on my water line. Application: I applied the Woodwinked eyeshadow on top of the Bad to the Bronze cream eyeshadow for the color to pop more using the Sonia Kashuk Duo Fibre Crease Brush 205, to darken the crease a little bit, just dip the pointed edge of the brush on the eyeshadow and lightly apply it on the crease, blend, blend, blend. Apply your favorite Mascara to the top and bottom lashes to finish the look. 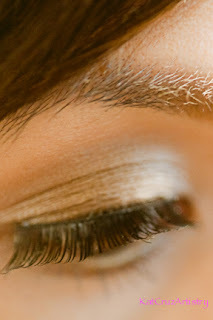 Application: You can definitely skip this step, but I wanted to add some false eyelashes. 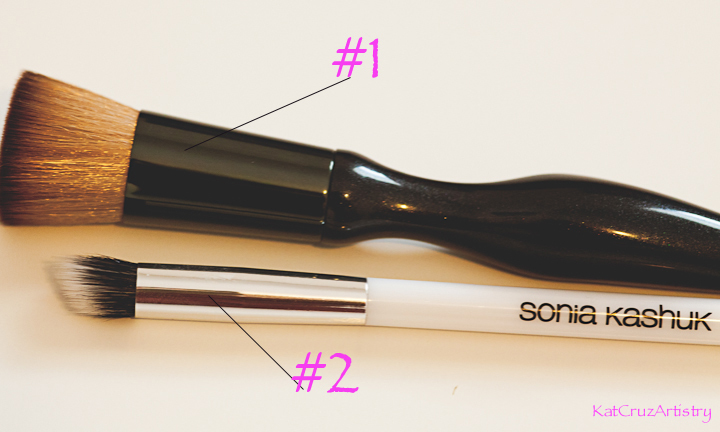 There you have it, a soft bronzy look for the summer, and a great must have brushes from the Sonia Kashuk line.